This workout comes from the Cal Poly Cross Country and Track team and was done daily. The film role model is Ashley Windsor who recently graduated from Cal Poly and was on their Track & Field Team and Cross Country running team for 5 years. SENIOR BOYS BASKETBALL -2017 PROVINCIAL CHAMPIONS! For the second time in four years, our Senior Boys Basketball team was crowned BC 4A Boys Provincial Champions on Saturday March 11! In a thrilling Championship Game, our Gators beat the Kelowna Owls 78-65 for the 5th time this year, enacting revenge for last year’s loss in the provincial semi finals. The game was very close from the start and the teams were tied halfway through the final quarter, before our boys pulled away for a win. The victory capped off a fantastic week and incredible season for the team. The Gators cruised to an easy 116-34 win over Mt. 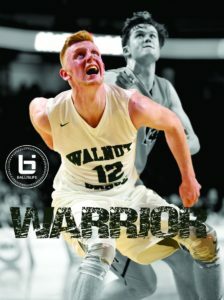 Baker from Cranbrook on the opening day of the Provincials before dismantling Kitsilano 100-74 in the quarter finals. 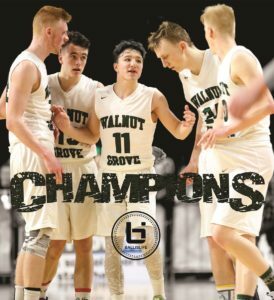 In the semi finals, the Gators took on the Holy Cross Crusaders, a team the Gators had just recently defeated to capture the Fraser Valley Championship. After a close first quarter, the Gators broke the game open to pull away for a convincing 90-58 victory that advanced them to the Championship game. On the season, the Gators were dominant, only losing one game all year to BC Competition and capturing 6 of 7 tournaments that they entered. As mentioned above, they were also crowned Fraser Valley Champions! 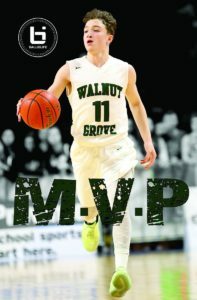 Individual recognition goes to to Grade 11 James Woods, who was named MVP of the BC Tournament. Graduating seniors Ty Rowell (1st team) and Andrew Goertzen (2nd team) were both named to the Provincial All Star Team and our school also won the School Spirit Award for the tourney! 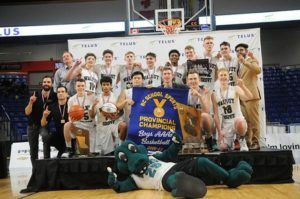 A huge shout out and congratulations to Coach George Bergen for winning his second provincial basketball championship and for the countless hours of time he has committed to his players and the Gator basketball program over the past 25 years! Well done, George!